The fact that there's a new restaurant at 19, Hrenova street is old news. Spirit Bar & Kitchen opened on the ex Social Club spot, some time ago. I finally managed to try it couple of days ago on a bright spring day. 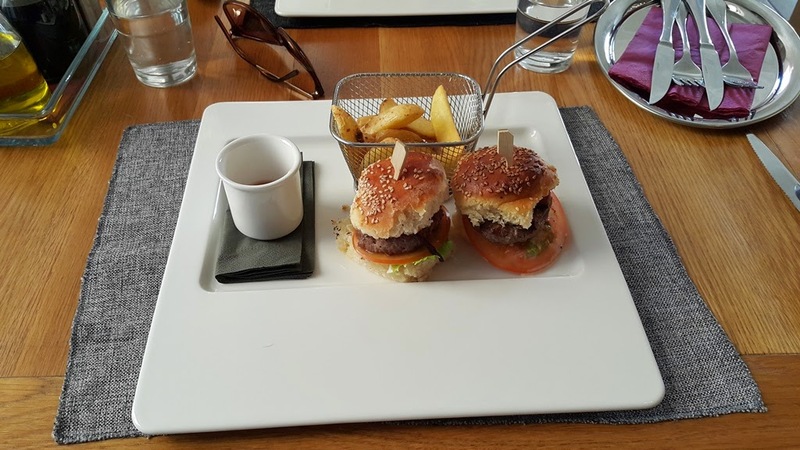 I've heard about these mini burgers, that this restaurant is supposedly famous for and because I'm still under the influence of Ljubljana's so called burger mania, I had to check these out. And they are mini. They look like cupcakes and taste like angel kisses/mana from heaven/*insert something heavenly*. They are indeed tasty, I liked the irregular shapes, which implied they're handmade, the meat was also super nice and juicy. I was almost hooked, even being not particular meat lover. Plus you can "dose" them, depending on how hungry you are. These meat cupcakes are 2 euros each, so you can eat two and have a light lunch, or you can eat four and become totally full and have to wobble yourself out of the restaurant.